Dubai: You don’t need to be that wealthy to buy a home in Dubai. Even a salaried mid-income household or a small business owner on a tight budget is now getting to have options to buy a home in Dubai as developers make a decisive change in their approach. With newly launched Emaar South announcing initial launch prices of Dh699,000 for a two-bedroom villa, accessing the residential market is starting to get just a bit easy. And, more importantly, this would be the prompt for a majority of developers to start committing to “genuine” mid-market, affordable properties than has been the case in the past. 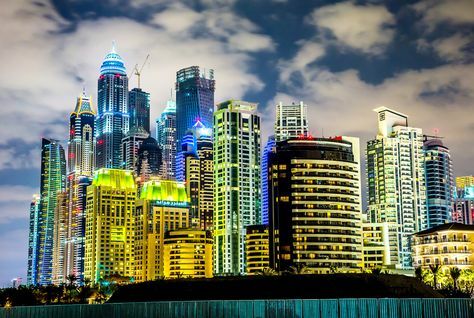 “It’s a game changer — affordable housing is finally becoming a reality in Dubai rather than being talked about,” said Talal Al Gaddah, CEO at MAG Property Development. “When one master-developer changes the price points, everyone competing in the same space has to do so. Market sources confirm that the initial interest in the Emaar South offering has been exceptionally high. Moreover, the development has a substantial 15,000 homes — in various formats — it can sell, or in other words absorb much of the pent-up demand for affordable home purchases. Other developers will have to come up with something fast to make sure they stay in the race or get pushed out altogether. Damac has just announced three-bedroom villas — at its Akoya master-development priced at Dh999,999 payable over three years plus the title deed to the plot. And they are targeting the a younger generation of buyers with its offer. Another developer, Nshama, has been consistently going for the mid-market for its Town Square project. Interestingly, Dubai used to have prices on a par or even lower, when it started out on its freehold journey. In 2002, a one-bedroom unit at the Greens was going for Dh350,000, a two-bed for Dh525,000 and a three-bed at Dh675,000. And a two-bedroom at The Springs could be had for Dh449,000. “Data shows that in 2002, a fourth of the overall property purchases were by employed professionals,” said Sameer Lakhani, managing director at Global Capital Partners. “It was the subsequent run-up in prices that led the market to focus only on luxury. Some market sources are concerned the small or mid-sized developer will find it difficult to compete in this category. When master-developers open the floodgates to mid-market homes, “their access to a vast land bank and substantial cash positions puts them in an enviable position,” said an analyst. “They can also bring down the margins on such projects without impacting on their cash flow. Very few of the private developers can afford to do that, and if they do, quality of their builds could suffer. It’s going to be a long-drawn battle. And the winner will take it all. But for Dubai’s mid-income residents now looking to buy a home, they would say they are the winners.